As the calendar turns from March to April, spring is in the air and spring beer is in the fridge! 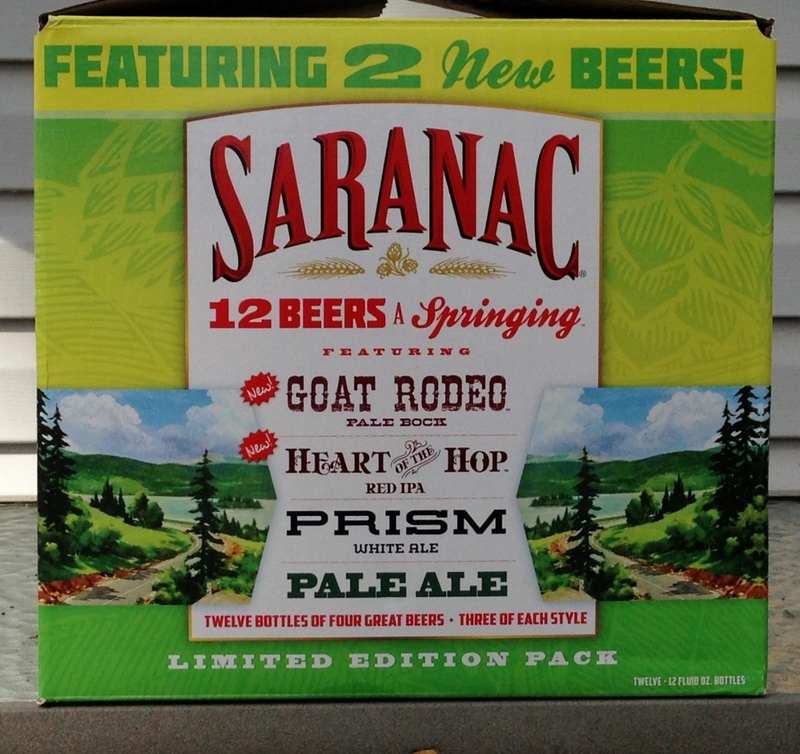 I was disappointed that this 12-pack only included four different brews; in past years, Saranac’s seasonal mixed packs included six different brews. And as much as I liked the Prism White Ale, I was not a fan of Goat Rodeo. So I don’t expect to buy this 12-pack again this spring.